LAFAYETTE, Ind. — The Downtown Development Council of Greater Lafayette Commerce is announcing the Lafayette Farmers Market will be ending its season on Purdue Campus on Thursday, August 13th. 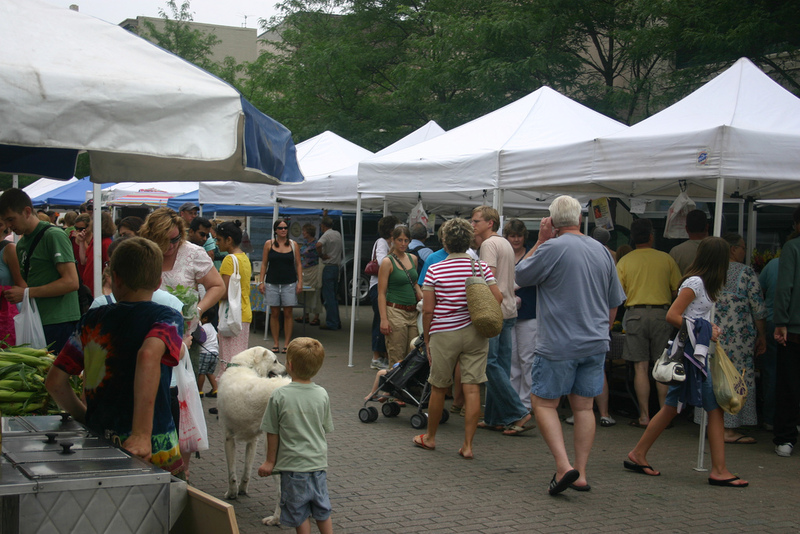 The market will relocate downtown on 5th Street for the remainder of the season, beginning August 20th. Fresh fruits, vegetables, meats, kettle corn, free range farm fresh eggs, flowers, honey, maple syrup, jams and jellies, dried herbs, baked goods, soy candles, Traders Point certified organic whole milk, Fair Oaks cheeses, perennial flowering transplants, arts/crafts, roasted coffee beans are all examples of items available at selected times during the 2009 Market. A visit to the Lafayette Farmers Market promises some of the finest and freshest produce, as well as an opportunity to browse through a Lafayette institution for over 100 years. Items currently available at the market include fresh fruits and vegetables, baked goods, jams and jellies, fresh kettle-popped corn, homemade crafts, and flowers. The Lafayette Farmers Market will be open downtown on Fifth Street between Main and Columbia Streets on Tuesdays and Saturdays from 7:30 am – 12:30 pm and on Thursday evenings from 4:00-7:00 pm through October 31. In addition, the Sagamore West Farmers Market is in operation on Wednesdays through October 28. Information regarding this market can be obtained at www.westlafayette.in.gov/departments/parksandrec/.